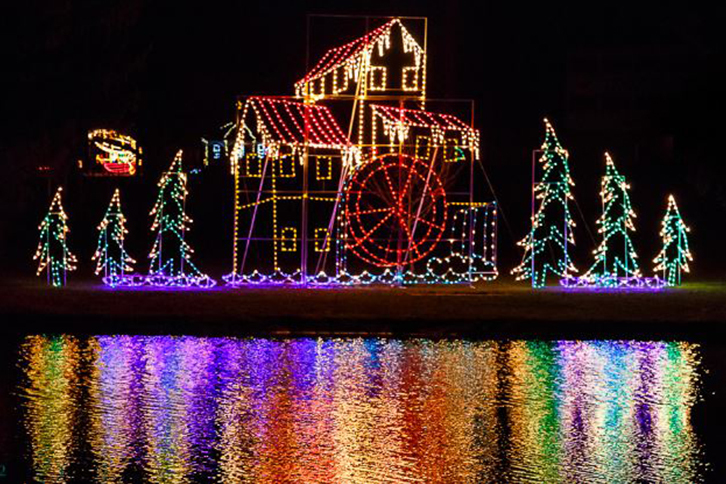 The Joy of Christmas drive-through holiday light display features one million lights in 75 holiday scenes. In addition to the light displays, guests can stop at the Gingerbread House and Santa’s Ice Castle to enjoy Christmas cookies, hot chocolate and food (for purchase); pictures with Santa in the Ice Castle (for purchase); Mrs. Santa’s Story Time in the Gingerbread House; crafts and face-painting; a collection of more than 100 decorated gingerbread houses; coloring contest; live holiday music and more. The event also features designated nights for senior citizens and children with special needs. $10 donation per vehicle requested. Hours this season will be Thursday-Sunday, 6-9pm. Open nightly December 13-26. For more information on Joy of Christmas, please call 330-482-2282, or visit their website.